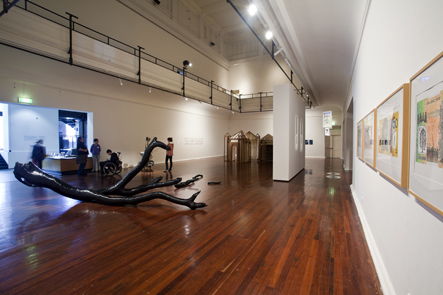 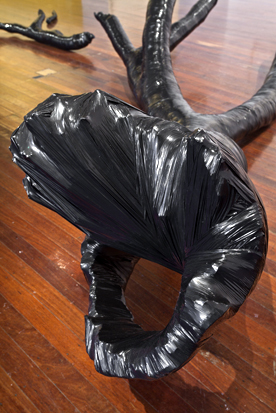 This was a work that was selected at the end of 2010 to be part of the annual Hatched exhibition at the Perth Institute of Contemporary Art (PICA). 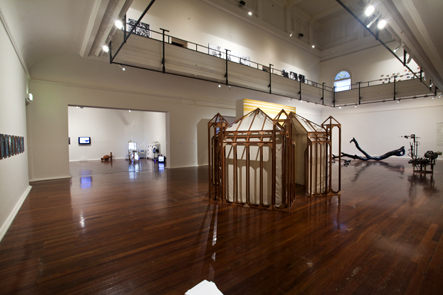 The show presents a survey of graduating visual artists from around the nation. 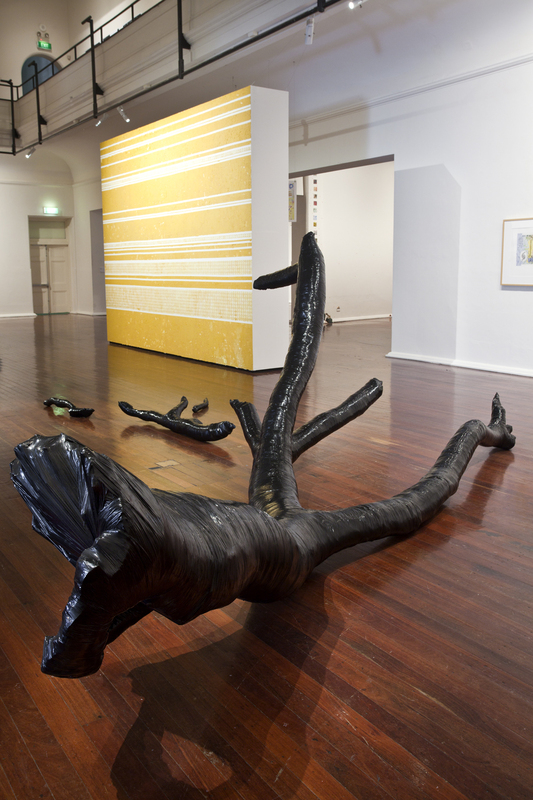 The installation is a piece of Jarra eucalypt which was located in Western Australia close to Bunbury. 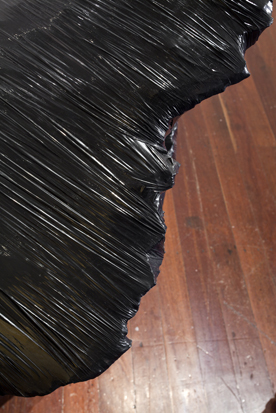 It was then moved into the gallery and bound in black plastic packing wrap.